Ancient History is fantastic course – there aren’t many subjects that get you to analyse PSA notices asking people to please not poop in the drinking fountain (looking at you 2017 HSC Ancient History Paper! ), or the crude graffiti of drunk men across the walls of a graffiti. It’s super interesting, and I’ve found that ancient history students seem to be some of the most engaged, active, and keen students about! If you’re one of those students, and you’re angling for that Band 6 in Ancient History, then this is the guide for you! Understand where you are going wrong (if you get your responses marked, which you should! ), so you can fix them before they count. Understand your own opinions on the topic, so that you can flesh out those arguments more in future exams, and really demonstrate your historic voice. If you’re struggling to find practice questions, because of the new syllabus, make some up yourself! Just take a syllabus dot point, stick a question mark at the end and voila! Perfect practice question! 2. Source are your best friend! In Ancient History sources are your best friend, potentially even more than in Modern History! Ancient History is, well, Ancient! Therefore, we don’t have anyone alive today who can tell us exactly what happened, thus all evidence we have for the past comes from sources. That means that you need to make sure that you include A LOT of them in your responses, to back up any point that you make. In general, the aim should be to have at least ONE source, per point, however if you can include even more, the more the merrier! So make sure that you include specific sources somewhere in your notes. For some units, for example Sparta, sources may be a bit trickier to come by. In that case, some smart googling (or picking up a copy of the ATAR Notes Ancient History Notes, where I did all the leg work for you!) is a good idea. If you still can’t find any sources for a particular topic or syllabus dot point, try to think why that is, and include that in your response – make the lack of sources work for you, and your argument! On the topic of sources, don’t be afraid to mix it up a bit! 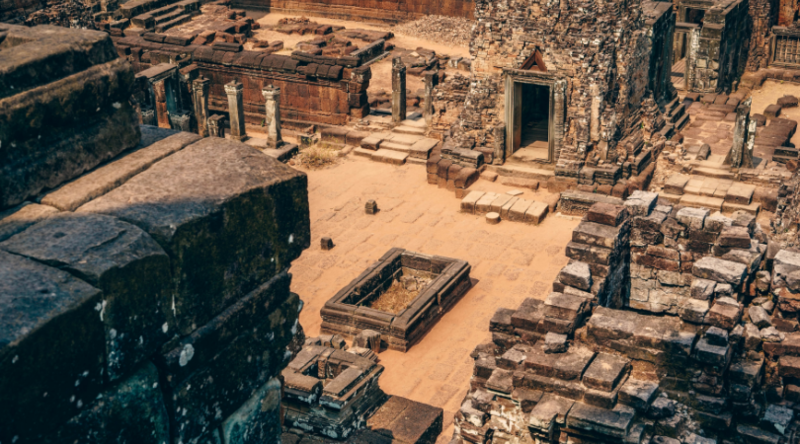 A lot of students tend to over rely on Ancient historians like Tacitus, Suetonius, Herodotus and Plutarch in their responses, at the expense of archaeological findings, and Modern historians. Including the writings of Ancient historians is great, however we shouldn’t always take them at their word. We know that many ancient writers have demonstrated the perchance to manipulate evidence for their own gain, or the gain of their country/patrons. That doesn’t mean we have to completely ignore their perspective (Modern Historians and archaeological artefacts can present bias as well), but it does mean that we want to have a healthy balance of all three. 4. Have a strong judgement – and keep it consistent. Judgements are super important in Ancient History, especially for the essay topics. If the question begins with ‘assess’, ‘examine’, ‘evaluate’ or ‘to what extent’, that means you must have an argument. A judgment is your perspective on the issue, what you think happened, based on the evidence that you have been presented. For example, an effective judgment for a question like ‘To what extent was Claudius the most effective Princeps during the Julio-Claudian period’, might be ‘Claudius was a highly effective Princeps during the Julio-Claudian period, in comparison to his predecessors and successor’. You want your judgement to be strong and assertive – using words like ‘overall’, or ‘despite’, can allow you to incorporate a bit of nuance, while still being very assertive. You need to make sure that you have a judgement as the first sentence of your essay (your thesis), and as the first sentence for every single one of your paragraphs. After that, then you can get into some context. I know of some teachers who mark students down for not having them as your opening sentences, so this is very important. It’s also important that this judgement remains consistent throughout the entire essay. You don’t want one paragraph to be arguing one thing, and another paragraph to argue something completely different. I find that this is something a lot of students struggle with, because history isn’t always black and white, but again, using words like “overall” can really help here. Make sure that every paragraph in some way supports your thesis. 5. Keep it simple, stupid! “If you can’t explain something simply, you don’t understand it”. Having a unique judgment/thesis is great, however remember that the more complicated and convoluted it is, the harder it is for you to sustain throughout your response, and the harder it is for your marker to understand what you are saying. It’s also a good idea to use consistent language throughout your essay – it may seem repetitive, but if you say “critical” at the beginning, it’s a good idea to let that same phrase carry through, as it avoids false accusations of a split judgment. 6. Study smart, not hard. When it comes to sources, the more the merrier! However, the amount that you are expected to know can get pretty overwhelming. You need to have at LEAST one source (preferably more) for every single syllabus dot point, for every single topic, and for the Core Study you need a source from both Pompeii AND Herculaneum. However, you can easily satisfy this, while also cutting your workload in half, by just studying smart, and not hard. Try and find sources that work for multiple sections of the syllabus, rather than having a completely unique source for each dot point. For example, you could use the Temple of Isis as a source for questions on religion (specifically foreign cults), social structure (for their inclusion of women and slaves), public buildings (as it’s a temple), influence of Egyptian culture, and more! Studying these, more versatile sources, will allow you to maximise your study time, while also delving deeper into these important sources, going beyond a surface level understanding. I hope this helps! If you have any more Ancient History questions, be sure to direct them to the Ancient History forum!